In the seven months since Hurricanes Irma and Maria devastated Puerto Rico, the storms’ wreckage still dominates daily life. Running water, electricity, clear roads and stable buildings remain elusive across the Caribbean commonwealth. But the island’s nonprofit sector has stepped forward into the vacuum left by a U.S. government that offers paper towels for disaster relief. HASER, the first Puerto Rican fiscal sponsor to join the Directory, sponsors several projects and is helping others gain solid footing. 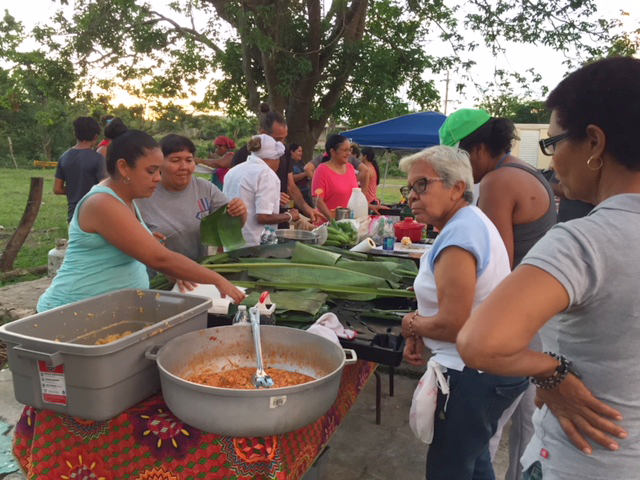 “We believe that a change at the national (Puerto Rican) level will happen through very local actions done by residents and small groups,” Founder, Board President and Acting Program Director Colibri Sanfiorenzo Barnhard wrote the Directory. HASER’s fiscal sponsorship work provides a unique and critical service: supporting groups directly affected by climate, politics and development, she says. HASER (Haciendo Acciones Socio-Ecológicas Resilientes, Making Social-Ecological Actions Resilient), is but 2 years old, and a fiscal sponsor for half that. Its $30,000 budget, basically derived from its 10% fiscal sponsorship fee, arrived in the wake of the hurricanes, Sanfiorenzo Barnhard told the Directory. It fiscally sponsors six projects — which it refers to as “allies” — and is helping more groups develop as candidates for fiscal sponsorship in the future. All share a focus on increasing communities’ independence by supporting, for instance, solar power projects, providing meals and, for the longer term, assisting local food production through farming and beekeeping projects, providing central community kitchens and gathering places to hold people over during a time of rebuilding, educational efforts and more. 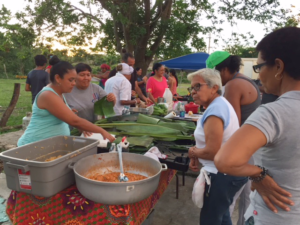 Nonprofit Quarterly, citing stats from Puerto Rican consulting firm Estudios Tecnicos, reported that the island’s burgeoning nonprofit sector had almost tripled in 20 years, to 11,570 organizations. “We started HASER because we saw that many grassroots groups offered critical services but had little or no support behind the scenes, which made it difficult for them to acquire local and federal tax exemption. Our mission is to stimulate quality and equity of life through local grassroots actions,” Sanfiorenzo Barnhard wrote on HASER’s Directory listing. Her own path toward fiscal sponsorship in Puerto Rico’s nonprofit sector dates back more than a decade, to her work with GAIA — which was an organization with a $10,000 budget and a staff of two — herself and a partner — that organized environmental clubs in Puerto Rican schools. “We realized you really need a tax exemption to get big grants for staffing, administration, seeking other grants,” she said. She emphasized that Earth Island’s rejection, in retrospect, was a valuable learning experience and absolutely understandable. Puerto Rico adds a layer of bureaucracy to nonprofit operations that Sanfiorenzo Barnhard said is unique and discouraging to organizations that have grown familiar with how things are done stateside. “The social and political reality of Puerto Rico drives how we function,” she said. “There are two layers of laws and accounting rules that apply, that are independent of each other” and discourage efforts to establish fiscal sponsor relationships. For instance, in most states, having federal 501(c)(3) tax-exempt status, or sponsorship by an exempt organization, eliminates state tax obligations, too. Not so in Puerto Rico, where commonwealth tax exemption hinges on approval through Section 1101.01 of Puerto Rico’s tax code, a status that Sanfiorenzo Barnhard described as achieved through a frustrating process that can take years to play out. After a long wait, she told the Directory, HASER itself was finally denied that status and is appealing but in mid-April, she wrote, HASER was still waiting. In the aftermath of the hurricanes, Sanfiorenzo Barnhard noticed that nonprofits had become more open to providing fiscal sponsorship than they were back when she was seeking a sponsor for GAIA. But even groups that have signed on with a different fiscal sponsor come to HASER for information. “The last eight months I have spoken to approximately 20 different foundations, community groups, businesses, unincorporated groups and individuals. Some describe actions that are clearly fiscal sponsorship, yet they don’t have written contracts for fiscal sponsorship. “Nobody I spoke to had ever seen or heard of ‘6 Ways to Do It Right.’ That for me is a red flag. That book is the cornerstone of fiscal sponsorship for 501(c)(3) funds. Information on the numbers of fiscal sponsors in business is hard to come by, even stateside. But HASER is hardly the only one operating in Puerto Rico. The Ford, Rockefeller and Open Society foundations contributed to a $5 million “Fondo Adelante,” which Nonprofit Quarterly said is intended to “guide a sustainable and equitable recovery effort.” Of those funds, $3.3 million was earmarked for the Resilient Puerto Rico Advisory Commission, formed to direct the recovery efforts, which has established a fiscal sponsor for the work, called Center for a New Economy. Sanfiorenzo Barnhard is skeptical: “Those types of commissions tend to spend a lot of money and only generate reports that are not implemented.” The Commission is, indeed, working on a report, due by June. Its parent, the Network of Puerto Rico Foundations, also supports Casa Pueblo, a HASER project, in providing solar-powered refrigerators to Adjuntas residences. Then there’s the Foundation for Puerto Rico and the Fundación Comunitaria de Puerto Rico, which received a $4 million grant from the San Francisco Foundation. That, San Francisco Foundation’s Gail Fuller, vice president of marketing and communications, wrote the Directory, was “a one-time gift that reflected one community foundation helping another in wake of a disaster.” The Fundación Comunitaria de Puerto Rico says it’s providing fiscal sponsorship to five projects and in April became Puerto Rico’s second fiscal sponsor to join the Directory. With its $30,000 budget, HASER has two part-time employees, Communications Director Anahi Lazarte and a case manager for its biggest ally, Casa Pueblo, and is able to hire formerly pro-bono legal and accounting help on a contract basis. Sanfiorenzo Barnhard supports herself working as administrator elsewhere; her work with HASER is unpaid. Casa Pueblo, HASER’s largest project, won the 2002 prestigious Goldman Environmental Prize. It has been “promoting sustainable development and environmental justice in the rural central mountain range of Puerto Rico” in the town of Adjuntas for 37 years, its page on HASER’s website reads. It came to HASER in 2017 for help to increase its financial and administrative capacity regarding community hurricane relief. Several of Casa Pueblo’s revenue sources — eco tours in the two forest reserves it manages, coffee production and a shop it operates for local artisans’ work — have been cut back or suspended entirely in the wake of the hurricanes. 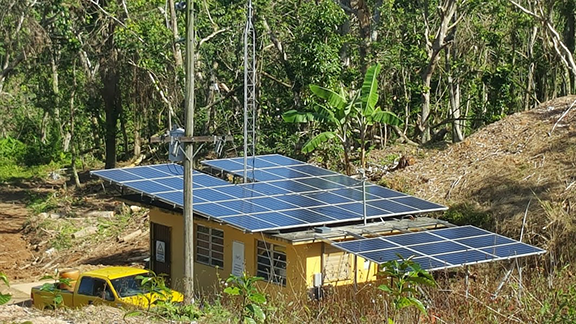 Casa Pueblo established Puerto Rico’s first community radio station, helps in schools and is ramping up solar panel installations to make the Adjuntas community more self-sustaining. Also, it’s been repairing trails and bridges, reconstructing buildings for receiving groups and cleaning up debris so it can restart its eco tours and outdoor classes. Support for some of this work comes from a JPB Foundation grant restricted to community hurricane relief. 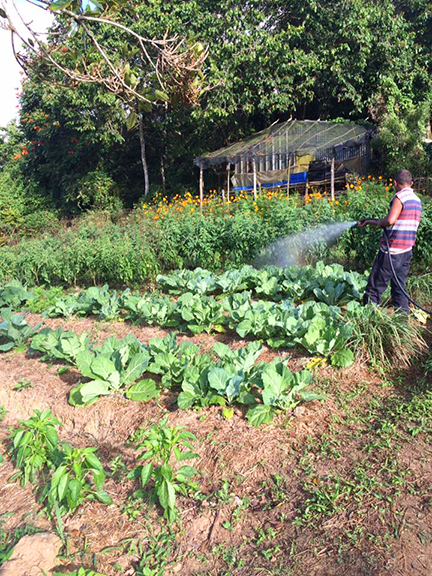 Another HASER ally, La Colmena Cimarrona, is an agricultural nonprofit in Vieques. It trains and provides business assistance to agricultural and apiary workers, supports the creation of community gardens, conducts bee workshops for local residents and youth organizations, and develops modules of agroecology in Spanish for the Caribbean, having worked in the Dominican Republic and Haiti and collaborated with groups in Mexico and on the island of Santa Cruz. A third HASER ally, Las Nietas de Nonó (the Granddaughters of Nonó), is led by two sisters who since 2012 have provided a theater, garden, kitchen, artist residence and community space, Patio Taller, on the grounds of their grandparents’ home in the barrio of San Anton, in Carolina. A 2017 grant from Astraea Lesbian Foundation for Justice helps support their work. Casa Pueblo is a Model C project. Colmena Cimarrona and Las Nietas de Nonó are Model A projects. HASER also has a separate, unfunded, incubation-type program that helps nascent groups get organized and build their capacity, with the goal of becoming fiscal sponsor-ready. Once they are “structurally sound, up to date legally, legally OK, accounting OK, then we can offer fiscal sponsorship to them,” Sanfiorenzo Barnhard says. HASER’s ally Colmena Cimarrona came to fiscal sponsorship in this manner and continues to work within the development program. This year, three more projects have similarly progressed to become HASER allies: ARECMA, Armonía and Caderamen. ARECMA is Model C, the other two are both Model As, she said. HASER has two more projects, Tabonuco and Pulpos y Nebulosas, in its development pipeline. 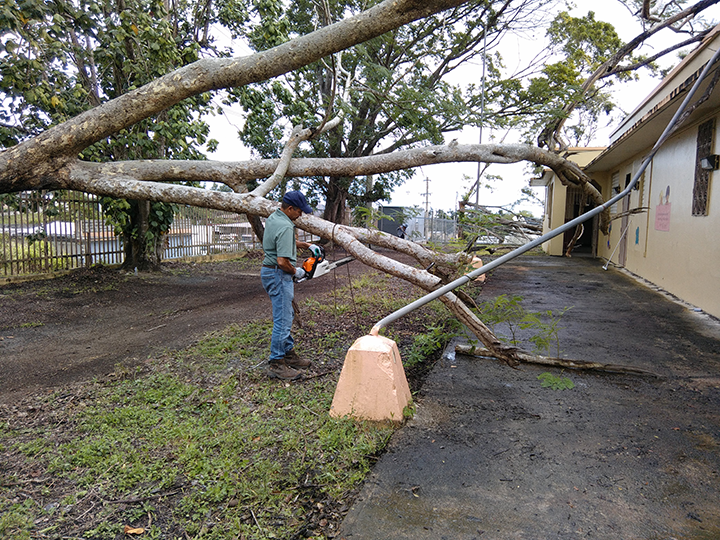 ARECMA is in the eastern community of Mariana in Humacao, where water and electricity are still out of commission from the hurricanes. It works with the community to accomplish what the government has not. Concerns that things are being purposely allowed to deteriorate in hopes of driving out Puerto Rico’s current residents and eventually creating a new playground for the very rich was posited by “Shock Doctrine” author Naomi Klein in “The Battle for Paradise,” a recent analysis of the Puerto Rican recovery effort published in Intercept. ARECMA is providing hundreds of meals daily for those still without refrigerators, fresh water and more. It’s also transforming an abandoned school into a community tech center, hostel, laundromat and coffee house, installing donated water filters to access river water and developing a solar-powered electric grid. “Our allies are amazing at what they do,” Lazarte wrote. Going forward, Sanfiorenzo Barnhard said, “I am extremely interested in sharing knowledge with groups receiving and giving fiscal sponsorship. “In the past, there hasn’t really been an openness to knowledge sharing and setting best practices, but HASER will start.” She endorsed the concept of regional meetings, as sponsors are increasingly doing across the United States. And, she said, “I am curious who has taken the time to read and review the book. “Our slogan is ‘poco a poco,’ which means little by little, and ‘paso a paso’ – meaning step by step,” she said.